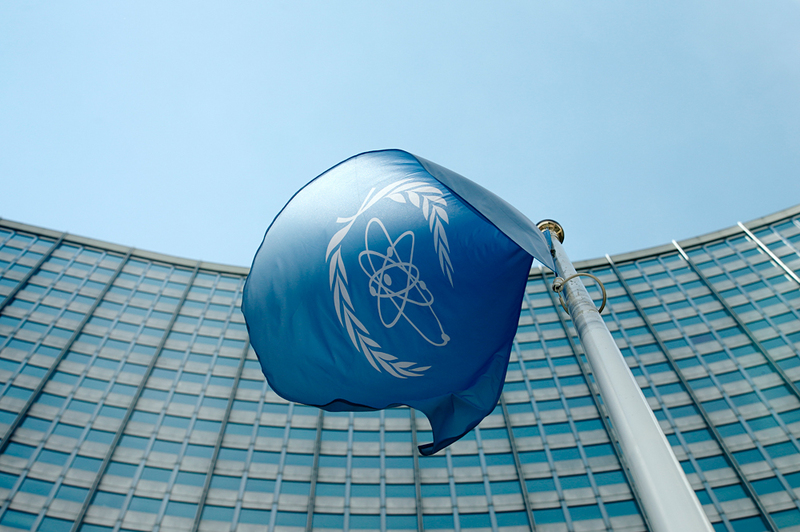 The flag of the International Atomic Energy Agency (IAEA) flies in front of its headquarters in Vienna, Austria. Russia and Tunisia have signed an intergovernmental agreement on cooperation in the nuclear energy field on the sidelines of the 60th session of the General Conference of the International Atomic Energy Agency (IAEA) in Vienna on Sept. 26, TASS correspondent reported from the signing ceremony. The document signed by Director General of Russia’s Rosatom State Atomic Energy Sergei Kiriyenko and Tunisia’s Minister of Higher Education and Scientific Research Slim Khalbous lays a legal foundation for bilateral cooperation in the field of atomic energy for peaceful purposes on a wide range of areas. "We’re very glad to ink the agreement with the government of the Russian Federation and hope that this will enhance cooperation between the countries," Slim Khalbous said following the signing. "We’re glad to share the experience gained over 79 years in Russia, with our colleagues in the Republic of Tunisia," Sergei Kiriyenko said, adding that "the framework agreement opens up a full scope of cooperation." Particularly, Russia will help Tunisia in creation and improvement of its nuclear infrastructure in accordance with international recommendations; in engineering and construction of energy and research nuclear reactors; in development of uranium deposits as well as exploration of Tunisia’s mineral resources base to develop its nuclear sector. The agreement stipulates the formation of a coordinating board for control over its implementation and consultation exercise. Also, joint working groups will be formed for implementation of particular projects and scientific research.